Get exposure in Indian River County and take your business to the next level. At Valpak of The Treasure Coast, you have a neighbor who can introduce your business to more neighborhoods via a suite of print advertising and digital marketing solutions. 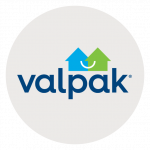 Valpak’s Blue Envelope of coupons can get you into as many as 50,000 qualified households in the Vero Beach, Florida area each month, no matter your sector – restaurant, retail, automotive, entertainment, travel, personal services and so on. You choose how often to mail, where your ads go and the print format, from coupons to flyers to circulars. And we’re more than just The Blue Envelope®. Valpak of The Treasure Coast can build your company a website or business profile page linked to valpak.com for increased online presence. We’ll optimize the content so search engines send web users to you when they’re looking for products and services you offer. We’re a Google Premier Partner that can help you get the most out of paid online advertising, social media marketing, search engine optimization and more. You can track every dollar and dime of your Valpak ad campaigns. Keep track of how many calls your ads generate, where these leads originate and what time of day they tend to arrive. Keep watch of clicks on your ads and prints of your coupons with our performance tracking solutions. Watch your dollars go to work for you and bring in new customers. Contact Valpak of The Treasure Coast today to maximize the ROI of your advertising spend. Reach the households you select in Vero Beach, Sebastian, Fellsmere, Roseland, Wabasso and Winter Beach, Florida. For specific dates and coverage, contact your Valpak of The Treasure Coast representative.